The energy debate is often polarised between the long-term and short-term as exemplified by coverage of energy in the news over the last few months. 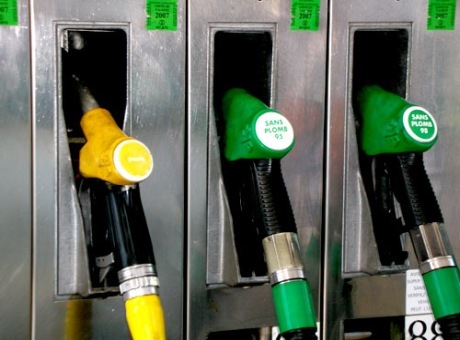 The potential threat of a shortage of petrol has set politicians and the public in a spin because our society is dependent on cheap, instantly available energy. On the other hand we have the long-term problem of tackling anthropogenic carbon emissions (mostly associated with the burning of fossil fuels). The UK Government has recently published its 2011 Carbon Plan, which sets out the road to achieving legally binding carbon budgets up to 2030. Low-carbon energy – renewables and nuclear power - and the low-carbon refurbishment of existing buildings are key planks in this carbon plan, both of which will require decades to plan and implement and which have been in the news over the last few weeks. This broad strategy raises concerns both that the insulation of existing buildings (in part stimulated by the Green Deal) might change the appearance and radically affect the cultural value of our built environment, and over the dependence of the policy on overseas companies and governments - this week brought news that two German companies, Eon and RWE, had pulled out of the UK market for new nuclear as a knock-on consequence of the decision by the German Government to abandon the technology following the Fukushima disaster. The core scenario of the Carbon Plan is informed by long-term modelling undertaken at UCL-Energy by our energy systems modelling team, who are busy planning the next generation of national and international energy systems models. We have been working with National Grid using models which look at some of the opportunities that arise through balancing a less controllable decarbonised energy supply with a more controllable smart energy system, including demand reduction. In the short term, one of the core components of such a smart system may be the humble hot water cylinder, yet several million of these have been removed from UK homes over the last ten years. We have been advising Government. For example, over the last six months, we have produced a number of reports for the Department of Energy and Climate Change, including think pieces for the newly established Energy Efficiency Deployment Office on energy efficiency in buildings, smart meters and energy economics. Providing evidence for many of the short and long-term challenges that Government and industry face in this sector is a key ambition of UCL-Energy. Balancing the short-term requirements of policy- relevant research and the longer-term academic outputs of scientific papers and HEFCE’s forthcoming Research Excellence Framework is a constant challenge for academics working in this area.